In a globalizing economy, architecture and urban design have an increasing role in facilitating the identity or imagery of capital. While design schools continue to propagate Mies van der Rohe’s famous dictum that “Form Follows Function”, the reality in the world’s great cities is that “Form Follows Finance,” coined by Carol Willis – architectural historian and founder of The Skyscraper Museum. Design and its cousin, branding, helps sell everything from buildings to institutions to dreams. This is not far from reality and accurately reflects the scenario in India as it competes among industries for attention within Asia and on a global stage. The new campus of the Indian School of Business-Mohali represents the latest thinking in the planning and design of business schools competing on an international stage. The new 70-acre Mohali campus responds to the school’s mission to provide a world-class curriculum and real-world experience on par with peer institutions around the world. In this context, the founders of the Indian School of Business understand that design – especially by international architecture firms such as Perkins Eastman – can add significantly to the value of their institution. The building design has to fit the campus in a way that is not only supportive, but also sensitive to the environment. 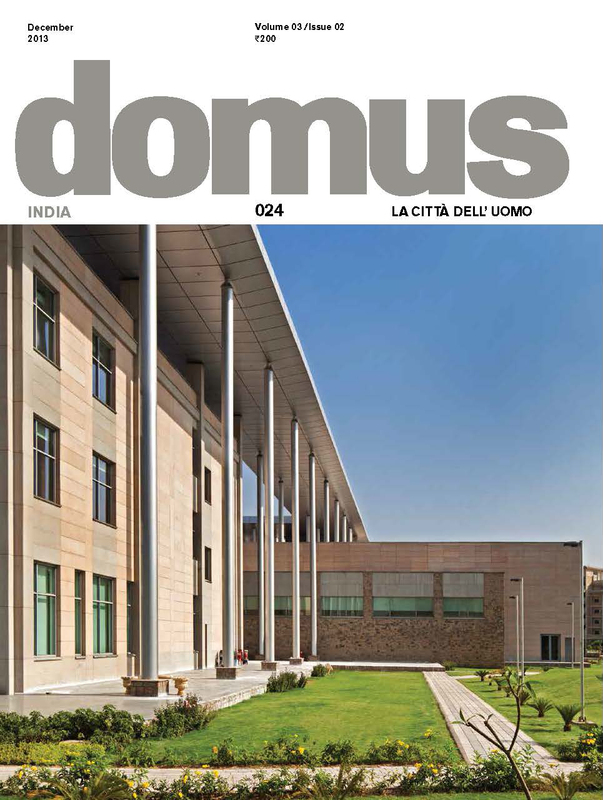 This entry was posted in Architecture, Design, Indian Art and Architecture and tagged contemporary indian architecture, Domus INDIA, Indian School of Business, Mohali, Perkins Eastman. Bookmark the permalink.